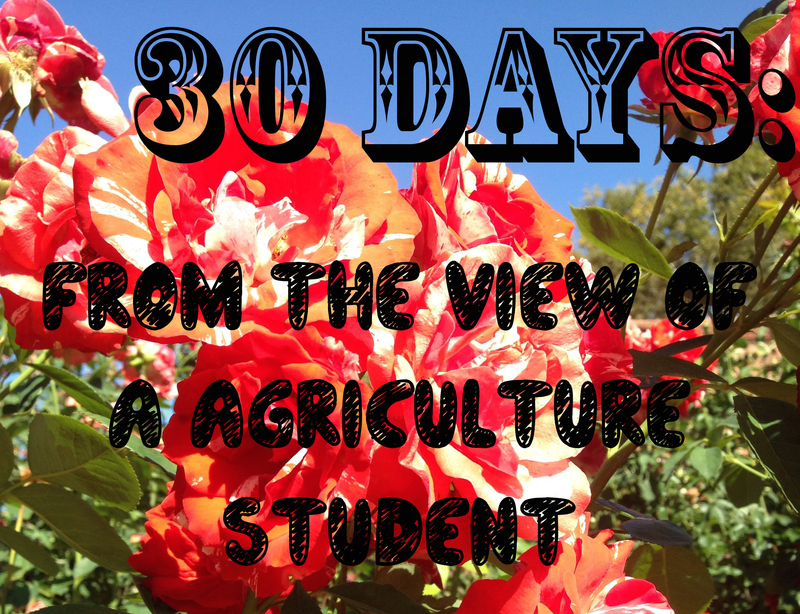 30 days from the view of a agriculture student. Up in the green hills in Northern California is nestled the College Chico State-The school where I happen to attend. My name is Kristen Moran, and I currently hoping to walk down the halls of the fomentation college with a degree of Journalism (with option in public relations and a minor in agriculture) in my hand. I am very enthusiastic about starting this challenge of the thirty day blog challenge because it gives me the opportunity to expand both my knowledge of writing and agriculture even more. In addition I thought I would share my view of the farm. I am a college student so I will do my best to post at a consistent time, but between midterms and a full work schedule sometimes I might be posting either early in the morning or late at night. I try to be witty and funny, yet keep everyone informed. Key word try, but hopefully you enjoy my sense of humor. I’m doing this from the perception of the agriculture student; many have been in my same exact place, and many will come after me. In doing this I wanted to encompass what all a agriculture students’ life is about for those who are not in the agriculture industry, as well as cool things I run across in my educational experience. So that being said have a good weekend, and I look forward to going to this blogging adventure with you.